Nifty opened positive just below 6100 on the day of Expiry and traded in a very narrow range for the better part of the day, but saw a dip in the afternoon session towards 6070 which was promptly bought into. The index ultimately closed at 6091.85, a gain of 34.75 points. The broader market was also positive, with 797 advances to 536 declines. Initial Range developing for December Series is 6000-6300. 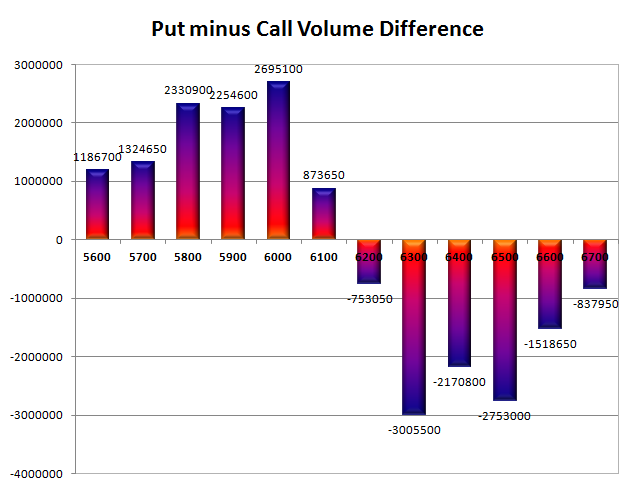 Call option 6100-6700 added 28.06 lacs huge amount of OI with small short covering seen at 6000 and lower strike prices. Put option 6100-5600 added 37.24 lacs huge amount of OI with small addition seen at 6500 and above strike prices. 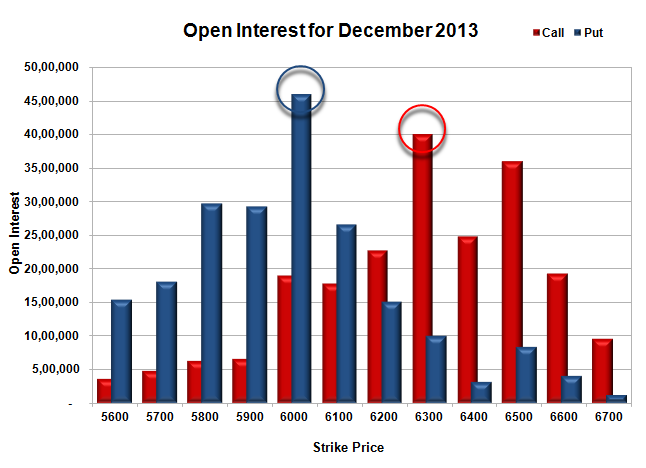 Nifty Open Interest is at 1,73,06,100 up by 32,67,500, with increase in price, mostly long build-up. Bank Nifty Open Interest is at 13,72,575 up by 3,19,850, with increase in price, mostly long build-up. FII’s bought huge 16.69 lacs Futures, mostly short covering, as their net OI decreased by 171132 contracts (includes 134714 longs and 101330 shorts for the day) and the average price per contract comes to around 6083.52. FII’s future open contract as on date is 388898. PCR Open Interest (Volume) at start of series is just above 1 at 1.066. Initial support at 6100, with huge addition for the day at 7.15 lacs and below that at 6000 with highest OI of 45.97 lacs. 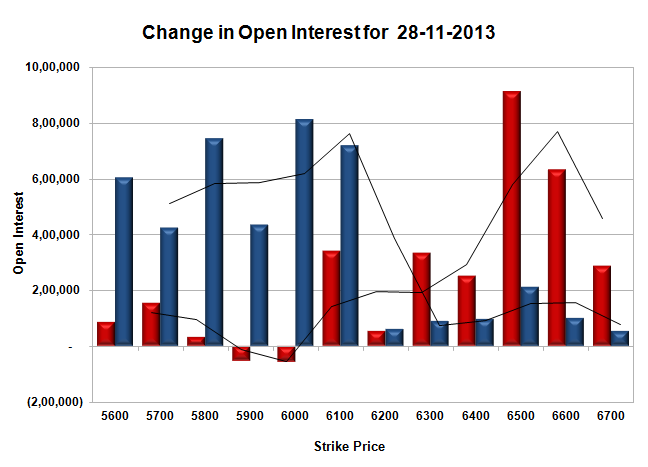 Initial resistance at 6200, with OI of just 22.70 lacs and above that at 6300, with huge OI of 40.04 lacs. Day Range as per Option Table is 6032 - 6153 and as per VIX is 6026 - 6158 with 6091 as the Pivot.